Hey curlfriends and welcome back! 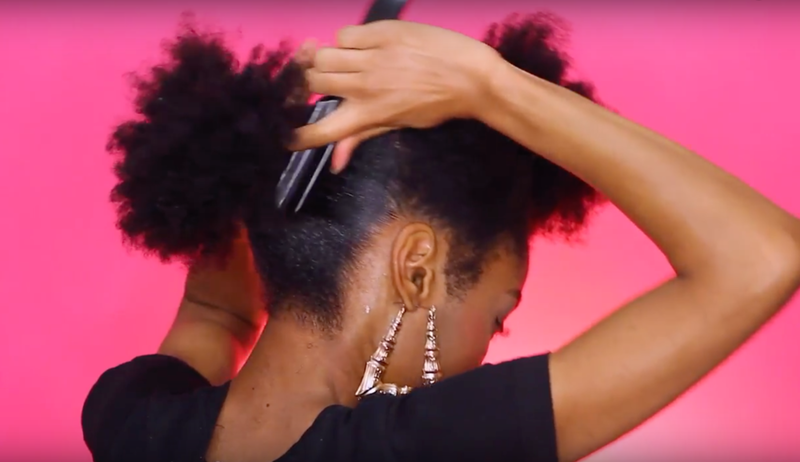 Here's how to turn a wig into a faux ponytail or natural hair puff. We're starting off on stretched hair. You'll need your crochet wig, a styling gel of choice, large hair elastic, bobby pins and a spray bottle. I'm going to start by separating the hair in half, isolating the front from the back using a large Goody hair elastic. Next I'm going to use a spray bottle with water only to dampen my hair. This will allow the gel to set better and pretty much give it something to stick to. Starting with the lower back section; I'm going to start applying the gel around the perimeter for a sleek finish. Because my hair is super thick, I'm going to put this back section into a small low ponytail. If your hair is thinner, you can just move straight into a large low ponytail. Moving onto the front section; I'm going to repeat the same steps. Wet the hair down, gel & brush it down for a sleek finish. Grab a large Goody headband to create a low puff ponytail. I'm adding in extra gel to create a sleek ponytail finish. Grabbing a hair net; I'm going tuck away and protect my loose ends. This will give the wig/ponytail and full solid base giving the illusion of a larger afro puff. 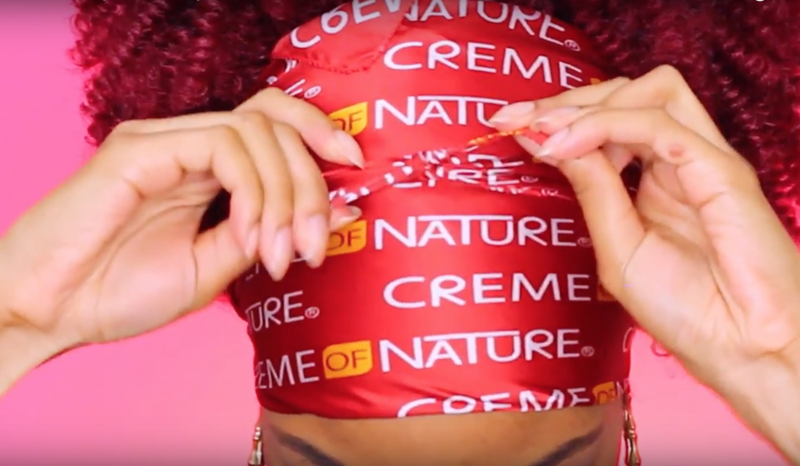 I'll be using my Outre Curlette crochet wig that I created with you guys just a few videos ago. Lay the net of the cap over the base (hair net bun) and bobby pin into place. Smooth down your hair and prep for setting with a satin hair scarf. Using a satin scarf; wrap the base of your ponytail to set the ponytail and allow to dry. I left my scarf on for about 10-20 minutes. 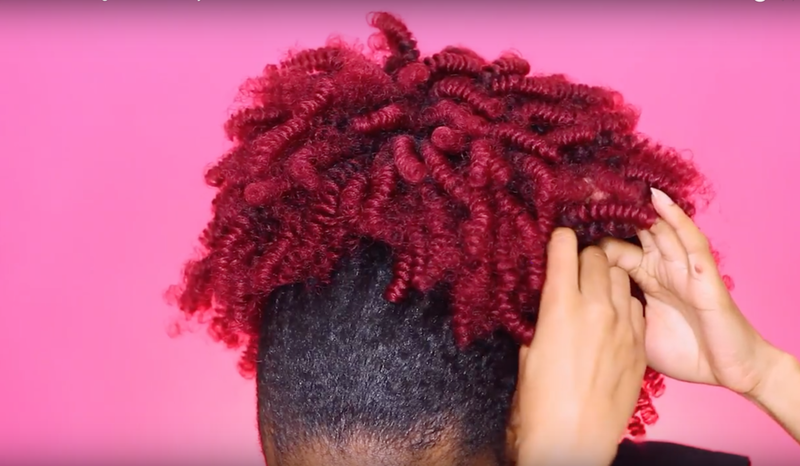 Fluff your puff to your desired density by separating your curls for a more voluminous look. Lay your edges to your desired look. I'm using Eco Styler on top of ORS edge control. That's it! Here's our final result! 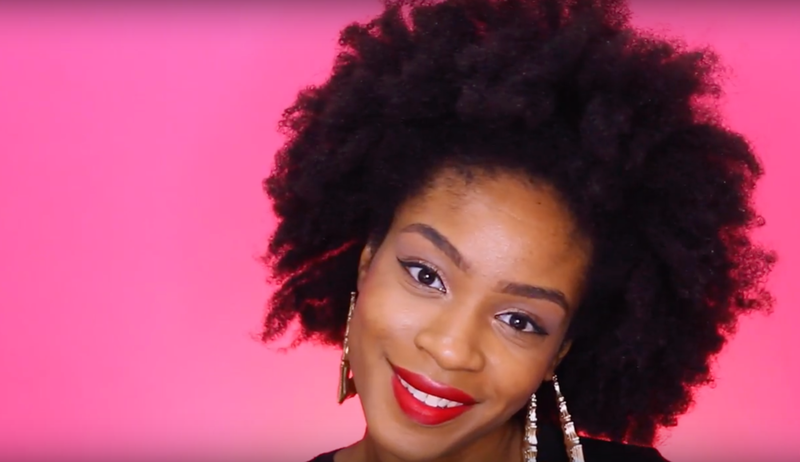 I really hope that you guys enjoyed learning how to turn your wig into a faux ponytail natural hair puff. I love you guys and I'll see you in the next tutorial!